Munich, 02nd February 2016 – SGET Standardization Group for Embedded Technologies e.V. will shortly release the updated version 2.0 of its SMARC specification. “The Standard Development Team SDT.01 has been working for six months now and managed to update and pass the specification in this short time frame”, explains Engelbert Hörmannsdorfer, Chairman of SGET e.V. “This demonstrates how well and how fast the SGET e.V. can work together with industry members”. All participating companies in the SDT.01 have recognized the need for an update of the SMARC specification 1.1, which was published in December 2012, more than 3 years ago. The terms of reference included the task to create a new Version 2.0 of the specification with an enhanced feature set, keep compatibility with the V1.1 pinout to the extent possible and re-purpose selected V1.1 pins that are currently under-used for new interfaces. The team followed the principal that there should be no damage if a V1.1 compliant Module is placed into a V2.0 compliant Carrier, or if a V2.0 compliant Module is placed into a V1.1 compliant Carrier. 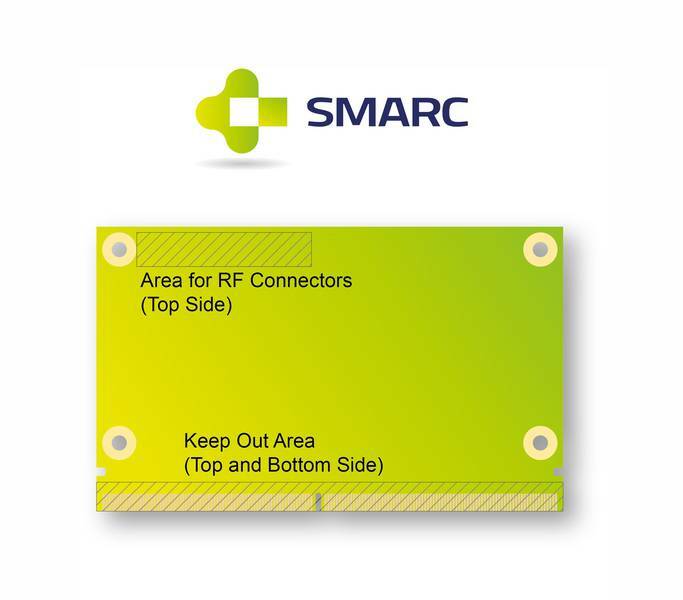 In SMARC specification 2.0 the following interfaces will be added: 2nd channel LVDS, a 2nd Ethernet port, IEEE1588 Trigger Signals, a 4th PCI Express Lane, extra USB ports (now up to 6x USB 2.0 + 2x USB 3.0 superspeed signals), x86 power management signals, eSPI and DP++. Up to three digital displays will be supported: As primary display 2x 24 bit LVDS or eDP (4 channels) or MIPI DSI (4 channels) can be used, the secondary display can either be HDMI or DP++ and the third display can be DP++. Some interfaces which were rarely used or seen as outdated soon were removed from the specification: Parallel Camera Interface, Parallel Display Interface, PCI Express Presence and Clock Request signals, Alternate Function Block, SPDIF, one I2S (out of 3) and eMMC. SDT.01 plans to release and publish the specification in spring 2016. It will be freely available for download on the SGET website according to the SGET terms of membership – both for SMARC developers as well as for users and carrier providers. First products compliant to the SMARC specification 2.0 are expected to be made available by member companies of SGET in the course of 2016.